Voted by you, styled by me, March’s winning style is a quick, easy and fun style to rock. The best thing about this style; you can rock it whether your hair is on the shorter side or if it’s long. Add an accessory or just let your own hair do the talking. Thank you to all of the ladies who shared their February High Bun style versions with me. 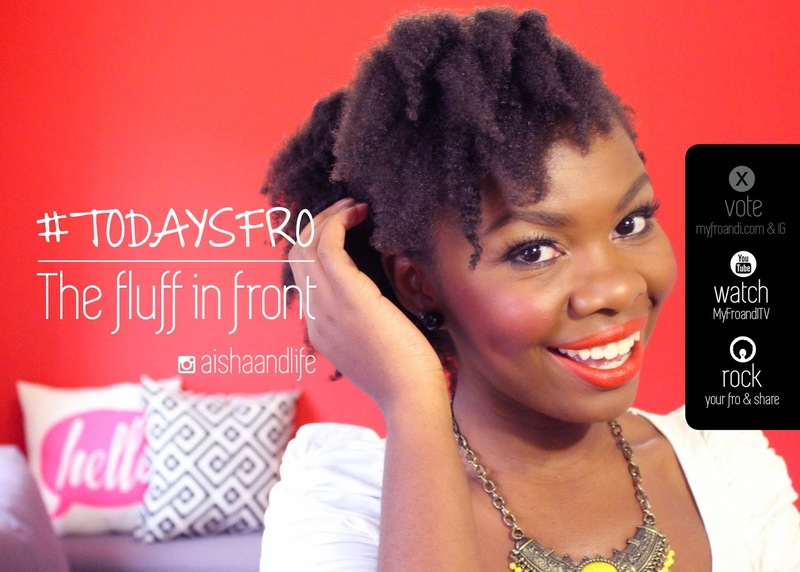 If you’d like a chance to be featured on my Instagram or Facebook page, tag me @aishaandlife and #todaysfro in your version of the Fluff in Front.